The moralistic, Dispensational, sacerdotal, ritualistic new perspectivism of Douglas Wilson exposed in this critique. Innovation and originality in theology are the parents of all heresy. Douglas Wilson in his book, “Reformed” is Not Enough demonstrates this subtly but effectively. To the untrained eye his arguments may sound cohesive, helpful and clarifying. To the trained eye his arguments are heretical, and his work demonstrates his theological and historical ignorance. If it were that Wilson was the first to propagate false doctrine in the related arena of justification, effectual calling, and other standards, then it may be that writers, such as this writer, would take a far more lenient approach to helping Wilson correct his exegetical and historical fallacies. Unfortunately, Wilson is not the first, and he is simply following along, albeit more conservatively mind you, from predecessors who have belabored a new perspective on Paul’s theology. Wilson attempts to bypass this accusation through agreeing with historical formulations, and men like Martin Luther, but fails to do so in joining the New Perspective on one of its key points in a corporate covenantal justification (which will be discussed later) and blatantly disagreeing with Luther at the same time. This paper is a brief consideration of the information in “”Reformed” is Not Enough: Recovering the Objectivity of the Covenant (Canon Press, Moscow: ID, 2002. )” by Douglas Wilson. It is this writer’s opinion that Wilson has crossed the line from error to heresy based on conceptions propagated at the 2002 Auburn Avenue Pastor’s Conference with three others—John Barach, Steve Schlissel and Steve Wilkins, as well as clarifying marks made here in his new book. These four men have been “labeled” the Auburn Four as a result of that conference. Wilson admits in his foreword that he began writing this book before the accusations to him and his colleagues came about by the Covenant Presbytery of the RPCUS in June of 2002. So he has included thoughts about the clarification of his opinion in later chapter (which happen to be some of the most blatant denials of orthodox doctrine in the book.) rather than earlier ones. The purpose of Wilson’s books is to recapture what he calls the “objectivity of the covenant.” He says, “One of the great reformational needs in the Church today is the need for us to understand the objectivity of the covenant, and so that is the thrust of this book.” He says that such a return to what historical orthodoxy suggests around “the objectivity of the covenant” will place Reformed Theology back on track. Calling one’s self “Reformed”, according to Wilson, is simply not enough. Holding to Reformed doctrine is simply not enough. Being “Reformed” is simply not enough. In the “Foreword” Wilson explains that the RPCUS had deemed him a heretic, but he was already well on his way of writing this work when the charges had been delivered. Yet, as a result of the charges he concedes the need to spend more time, or as he says “closer interaction” with the teaching of the Westminster Confession of Faith. This is all well and good, yet his handling of the Confession and his comments about the framers of the confession demonstrate an ignorance in historical theology (this will be seen by quotes and comments from Wilson, as well as the Puritans who framed the Confession in the first place.) It is dubious, though, to make assertions about the Confession without a solid exegetical theology backing up new “presuppositions.” In this regard Wilson is not a subscriptionist. He does not subscribe to the Westminster Confession of Faith proven simply by his comments about it, and his deviations from it. He also takes considerable time to build theological straw men to support deviate ideas about the Confession. This writer pondered whether or not Wilson may have taken a book written by Schenck called “The Presbyterian Doctrine of Children in the Covenant” to a unbiblical extreme, and then attempting to prove that his position was what those quoted in Schenck’s thesis believed. It was not to this writer’s amazement that Wilson quotes Schenck’s book for support. Yet, the evidence to support his ideas is both taken out of the context of the historical and theological position of the men Schenck quotes, but adds to the position of the doctrine of children in the covenant the heresy of baptismal regeneration. Schenck’s book surveys the historic Reformed position centering on presumptive regeneration, not baptismal regeneration. Wilson makes this historical blunder repeatedly, even to the extent where he says that Calvin taught a type of baptismal regeneration, and the Westminster Confession of Faith taught baptismal regeneration. Wilson also says that those who seem to be “disputing” all of this “covenantal” stuff are somewhere along the lines of a “variation of postmillennial, Calvinistic, presbyterian, Van Tillian, theonomic, and reformed thought, with additional areas of agreement standing off to the side.” This writer is not postmillennial, Van Tillian, or Theonomic and has serious issues with what Wilson is teaching. Wilson also says that no one has attempted to contact him in order to sort this mess out. This is simply untrue. This writer is aware of a number of emailing discourses that are currently taken place with Wilson by able Reformed theologians and Pastors. Why would Wilson say that, “no apparent need to contact us to get any clarification”? It seems that to those who have more knowledge of the situation from first hand adherents that such pleases seems to capture empathy from the readers. Wilson also makes a self-substantiated distinction between those who are ETR (Enlightenment Truly Reformed) and TR (Truly Reformed). It is true that certain aspects of the current Reformed theological trends today need to recapture their roots. Lewis Schenck’s book is helpful in this regard in order to remind the TR where their roots are at and where their theology has gone. But Wilson sees this degradation in current Reformed thinking as setting off a particular and distinct theological group – the ETR. These are those who have been affected by the individualistic tendencies of revivalism and have become a more baptistic church than a Reformed Church. This writer is sympathetic to that shift. Rather than following the Reformers on why one baptizes a child, the ETR follows Jonathan Edwards. Children in the covenant are “vipers in covenant diapers.” They are baptized, and then evangelized as if they were not in covenant with God. Calvin, Zwingli, Bucer, Capito, Turretin, Vermigli, Ames, Sibbes, Goodwin, Owen, Manton, Hodge, Warfield, and most of the Reformed orthodoxy up and until the Enlightenment believed that the infants of believers were already adopted by God before baptism, and that the parent, in faith of presuming upon God’s promise and command, baptized the child. That did not mean the child was infallibly saved, but that the parent presumed that God’s promises applied to the child. This position for the bulk of the magisterial Reformers, Puritans and framers of the Westminster Confession of Faith is not hard to prove. However, Wilson goes beyond this. For Wilson there is a great amount of redefinition and addition to the Reformers, Puritans and the Westminster Confession of Faith than any of them intended. And none of them, no matter how subtly Wilson attempts to “back up” his information with the Westminster Confession of Faith, believed the same theological formulations as Wilson, or any of the Auburn Four. This will be more apparent in the critique of later chapters. The ETRs are Gnostic, says Wilson in pages 7-9. These ETRs are those who believe the “invisible church” is more theologically important than the “visible church.” Wilson wants to help the church understand that this is a misnomer. Those contemporary writers, pastors and theologians today (whosoever they may be is only a guess since Wilson cites no one in the whole book except B.B. Warfield) who call themselves Reformed have been duped into believing a lesser form of Reformed Theology. What might the remedy be? How can they escape this Enlightenment trend? The remedy lies in redefining what the invisible and visible church to the historical and eschatological church. Unless the Reformed church redefines “invisible and visible” to “historical and eschatological” and adds a few more doctrines along side those new formulations, then they will stay stuck in the current trend of Enlightenment thinking. Wilson is here to remedy this, propagating what he says is the correct aspects of theology in the “New Perspective on Paul.” It is important to note that Wilson does not agree with everything the New Perspective teaches. But he does agree with some of it. The “some of it,” though, is heretical doctrinally as we will see. Wilson then begins a pattern seen through the rest of the book. This writer counted 30 assertions that had no footnotes, no explanations, and no bibliographic associations to them whatsoever. For instance, “We believe our opponents to be sincere and honest Christians, but men who have erroneously made a bad truce with modernity and who have accommodated their theol­ogy to the abstract dictates of the Enlightenment.” Who exactly are these people? Wilson continues assertions and bibliographic fantasies like the following: “The reason we have to address this is that in our culture many have grown up in the church: they were baptized in infancy or when they were ten in a Baptist church, they sang in the choir and went through catechism class, and they are not Buddhists.” Who are the “many” exactly? “But we have to make all such qualifications because current misunderstandings of the covenant do need to be modified— and when we do, some will be tempted to think we are com­promising on some of these basics.” What are these current misunderstandings and who holds them? “I said earlier that rationalism has made considerable inroads into the conservative wing of the Re­formed faith, and the clear tendency of this rationalism is a reductionistic one.” Who exactly holds to this today? (Interestingly enough, to demonstrate this current tendency, Wilson quotes B.B. Warfield – someone who wrote in the 19th century.) “Far too many advocates of “worm theology” get stuck in total depravity.” Who exactly is this? Wilson makes many judgments in his book, and backs up very little. This demonstrates a lack of scholarship and a basic lack of theological prudence. Chapter 1: Judas was a Christian? Wilson begins this chapter by saying that he embraces the “richness of the Reformed Faith.” He does embrace it; but that does not mean he is Reformed. He holds to certain aspects of the richness of the Reformed Faith. But if he held to the “reformed Faith” ipso facto, no Reformed theologians or scholars would be writing critiques about his book, and his denomination would not be bringing up formal charges against him. In the next sentence Wilson agrees – he says, “Semper Reformanda is not something we should all chant together right up until someone actually tries it.” Sounds like Wilson is taking the banner of “always reforming” to “try” and propagate his “new theological perspective.” Always reforming is not the banner of introducing new or novel doctrines, but continuing to define and understand what God has already providentially given the church through the gifts of the church (the pastors, teachers and theologians who teach god’s people doctrine). Semper Reformanda does not mean we discard fundamental doctrines, or add to fundamental doctrines. The church cannot improve on essentials, but it can seek to understand those essentials more clearly. Wilson is not asking the church to believe its fundamental doctrines, rather, he is asking them to change them and redefine them. His point in writing is to help the church discover the “objectivity of the covenant.” Interestingly enough, there is not one single Reformed Confession, Creed or Catechism that uses the term “objectivity of the covenant.” It is Wilson’s intention to demonstrate that the church needs to redefine its historical orthodoxy by addition, but this, by necessity, warrants the subtraction of the fundamental tenants of the Christian faith, and a redefinition of the conversion process and ordo salutis. This addition of new information changes the information already present. Wilson defines what a “Christian” is according to the Bible. He is right in saying that the term “Christian” is used 3 times, and those 3 times are in a negative circumstance, two of which come from the mouths of pagans (Acts 11:26; Acts 26:24-29; and 1 Peter 4:14-17) He attempts, though, a discreditation of the connotation of the “Evangelical” word “Christian” by defining it solely by biblical quotations. In other words, being a Christian simply means belonging to a group who follows someone else, namely Jesus. Wilson says that using the word “Christian” to mean “conversion as an internal reality” is fallacious. His train of thought leads one to believe that looking at the term “Christian” systematically or by way of biblical theology is not acceptable. Exegetically, he says, theologians cannot package the word “Christian” in the way it has come to be known – to be a Christian is to be translated from the dominion of darkness into the Kingdom of Christ. Does church history agree with this or with Wilson? Church History disagrees with Wilson vehemently. Wilson is imparting a type of “moralism”. For Wilson, Christians may follow Christ, like Judas, who simply did what Jesus did out of a sense of duty and obligation, rather than actually being changed. However, there is a difference from a disciple in this regard to a true Christian. The church should not simply seek after making men moral. It should be after making men Christians. Examples from a Reformed/Presbyterian Background: Marshall says, “What cause for assurance can the Christian possibly have? Can it have anything to do with his works proceeding from his natural inclinations? No, insists Walter Marshall, assurance rests on the work of God, originally as his will is expressed in the work of Christ, and derivatively as the merit of Christ is worked out in the Christian: “We must have some assurance of our salvation in the direct act of faith…before we can, upon any good ground, assure ourselves, that we are already in a state of grace, by that which we call the reflex act.” Vos says, “To be a Christian is to live one’s life not merely in obedience to God, nor merely in dependence on God, nor even merely for the sake of God; it is to stand in conscious, reciprocal fellowship with God, to be identified with Him in thought and purpose and work, to receive from Him and give back to Him in the ceaseless interplay of spiritual forces…. According to this the covenant means that God gives Himself to man and man gives himself to God for that full measure of mutual acquaintance and enjoyment of which each side to the relation is capable.” Robert Haldane said, “A Christian is free from all things, above all things, faith giving him richly all things.” Matthew Henry says, “The life of a Christian is in heaven, where his Head and his home are, and where he hopes to be shortly; he sets his affections upon things above; and where his heart is, there will his conversation be.” Martin Luther said: “A Christian is at the same time a sinner and a saint; he is at once bad and good. For in our own person we are in sin, and in our own name we are sinners. But Christ brings us another name in which there is forgiveness of sin, so that for His sake our sin is forgiven and done away. Both then are true. There are sins…and yet there are no sins…. thou standest there for God not in thy name but in Christ’s name; thou dost adorn thyself with grace and righteousness although in thine own eyes and in thine own person, thou art a miserable sinner” Calvin says, “I speak in Christ,” that is, as a Christian; to be in Christ and to be a Christian is the same.” Calvin also says, “That Christians are under the law of grace, means not that they are to wander unrestrained without law, but that they are engrafted into Christ, by whose grace they are freed from the curse of the Law, and by whose Spirit they have the Law written in their hearts.” Again Calvin says, “But because believers stand invincible in the strength of their King, and his spiritual riches abound towards them, they are not improperly called Christians.” Calvin makes known that those who hold to the title “Christian” and do not believe do not really hold the title at all. He says, “For although the name “Christian” now flits about among us, yet it is only an abuse if the Name of God is not called upon by us. And we shall not be able to call upon Him (as says St. Paul) unless we have believed in Him.” John Owen is quite blatant on what a Christian is to be and what his mind is set upon, “The glory, life, and power of Christian religion, as Christian religion, and as seated in the souls of men, with all the acts and duties which properly belong thereunto, and are, therefore, peculiarly Christian, and all the benefits and privileges we receive by it, or by virtue of it, with the whole of the honor and glory that arise unto God thereby, have all of them their formal nature and reason from their respect and relation unto the person of Christ; nor is he a Christian who is otherwise minded.” Charles Hodge says, “It is only faith in Christ, not faith as such, which makes a man a Christian. “If ye believe not that I am he,” saith our Lord, “ye shall die in your sins.” William Twisse, moderator for the Westminster Confession of Faith, says this, “Question: What is the hunger and thirst of a Christian as a Christian? Answer: An appetite after that which conserves the life of a Christian. Question: What is that? Answer: The favor of God to the pardoning of our sins, and to the saving of our souls.” William Bridge says, “Christ is in all believers.” He makes this comment based on 2 Corinthian 13:5 where Paul says, “Know ye not how that Christ is in ye, unless ye be reprobates?” Paul does not say, “unless ye be Christians who do not believe.” Rather, Bridge rightly asserts that believers have Christ and reprobates do not. Christians have Christ, and non-Christians do not. What then is the fundamental constitution of a Christian according to the Westminster Confession of Faith and those who wrote it? Continuing with the same information in contradiction to Wilson, Thomas Goodwin says, “That our being in Christ, and united to him, is the fundamental constitution of a Christian.” Goodwin uses Romans 16:7 as his text and meaning, “who also were in Christ before me,” (i.e. converted before me.) Goodwin then says that being in Christ is meant individual “justification.” Thomas Manton says the same. The Christian is one who “takes the law of God for your rule…takes the Spirit of God for your guide,” and the “promises for your encouragement.” This “closer walk” Manton says, are of those Christians who are “freed from wrath…taken in favor with respect to God…under special care and conduct of God’s providence…hath a sure covenant-right to everlasting glory…hath a sweet experience of God’s goodness towards him here in this world,” and “hath a great deal of peace.” Jeremiah Burroughs likewise distinguishes the Christian by conversion, “Christians who profess the gospel must have a great care for their conversation…you think or hope, at least, that through the gospel there has been conversion, He expects that you will be careful of your conversations before men…if you would manifest that god has wrought any thru saving knowledge, any wisdom in you to save your souls, then know that god requires that you should show your good conversation, and that with meekness and wisdom.” This should be enough to settle the immediate discrepancy that Wilson has created. In this chapter Wilson sets forth some of the basic principles of God’s sovereignty, His decrees, election and reprobation. He uses the term again “objectivity of the covenant” (page 30) still without formally defining it. He says, “In no way is the objectivity of the covenant inconsistent with these truths about God’s sovereignty. In no way am I backing away from high-octane Calvinism. There will be things written later in this book which may look as though this is happening, but the reader should be assured that it is not.” Wilson is wrong. Objectivity in the covenant not only overthrows the sovereignty of God, but election, reprobation, the sacraments, the atonement of Christ, and the very essence of the church. Wilson is not propagating “high-octane” Calvinism. He is propagating sub-Calvinism or Non-Calvinism when he departs for orthodox formulations that Calvinists have held for centuries. Wilson says, “So the reason for covering this ground again is that some have assumed (readily and wrongly) that the objectivity of the covenant poses a threat to the Reformed faith. In reality, it is the historic Reformed faith.” Wilson is quite wrong. The objectivity of the covenant overthrows the Christian faith (which we will cover precisely later on.) Wilson says, “The resolution of the RPCUS in the summer of 2002 stated that the doctrinal views I am arguing for here involve a re­definition of “the Church, the sacrament, election, effectual call­ing,” along with many other doctrines central to the Reformed faith. The goal here is to establish that this is a gross misun­derstanding.” The reader should see right through this at this point. “Gross misunderstanding?” Wilson had just spent a whole chapter on redefining the orthodox understanding of the term “Christian”, (attempting to apply it to covenant breakers like Judas) and he wants his readers to follow him into a vindication of a gross misunderstanding of redefining Christian terms? Dubious. Wilson begins this chapter by telling his reader that they need to “unlearn a few things.” Specifically he mentions the “meaning of the covenant.” Now he does not want us to “unlearn too much,” as he says, but just enough. He is trying to make theological conservatives (whoever they may be) not too nervous. Wilson says, “growing in our covenant understanding does not entail abandoning his­toric Calvinism, nor does it mean jettisoning the historical evangelical faith or the historic Reformed faith.” This is actually a wonderful sentence – too bad Wilson does not listen to his own advice. There is a difference between redefinition, addition, or changing doctrinal ideas as a result, and “growth.” Growth presupposes “Semper Reformanda” as has already been stated. Change is something different altogether. Wilson begins to define the “objectivity of the covenant when he says, “Simply put, the objectivity of the covenant does not mean that a man does not have to be born again.” Hopefully he will explain what he means later on. Wilson then begins his downward spiral into unorthodoxy when he takes up the issues of “corporate regeneration.” He says, “And Jesus does not just limit this to individual men—all Israel must be born again (3:7)…” Jesus says in John 3:7 that “you must be born again.” The “you” is plural. All of those who say they are of god’s people must be born again, or they are not God’s people. Wilson stresses “Israel” here working off preconcieved notions of Romans 9:7. But Wilson then says this “is what happened at Pentecost.” All Israel was born again at Pentecost? He offers no explanation at what he means by this except to say at that the prophecy of Israel’s “dry bones” of Ezekiel came to life in Acts 2. Wilson seems to be rewriting history and the restoration passages of Israel. Pentecost has no such connotations. It is the regathering and restoration passage of exiled Jews of the Diaspora under the power and ministry of the resurrected Christ who sends His Spirit from the throne of the Father. It is the fulfillment of Joel 2. Wilson says, “The valley of dry bones was transformed, and Israel stood up again, filled with resurrection life. But of course a rebirth of all Israel also depends on the transformation of individual men and women. This corporate regeneration of the people of God in no way lessens the need for individuals to be born of the Spirit of God. How could a call for omelettes be taken as opposition to eggs?” Wilson is trying to tell us that these special event marks a “corporate regeneration” of “all Israel.” He says this differs from individual regeneration, something all individuals must have. But what is this “corporate regeneration?” Wilson does not get knee deep into that at this point. Rather, he is trying to overthrow the Enlightenment here (or his conceptions of it in Reformed circles). Wilson’s notion that the Gnostic ETRs do not have the ability to see the spiritual regeneration of a person. Instead, Wilson says, the TRs hold to covenant baptism. By holding solely to covenant baptism, the ETRs are overthrown by the TR’s more reformed position of “see no evil” “say no evil” and “hear no evil” of a person’s baptism. They simply accept that baptism without question. This does not mean Wilson would reject someone’s profession of faith. No, he certainly accepts this. But Wilson says that ETRs neglect the simple adherence to accepting a person’s covenant baptism, and instead they try to see their regeneration as more important because the “invisible church” to an ETR is more “valid” than the “visible church.” Is this the position of the Westminster Confession of Faith? No. Wilson believes that to be “born of water” means “water baptism.” He offers no exegetical proof of this vastly contested phrase. Is Jesus meaning baptism, or is He referring to Nicodemas in being born of a woman? It seems that the passage flows with the meaning of being physically by water and then spiritually by the Spirit than to exegetically strain the idea that “water” baptism somehow comes into play. But Wilson does not deal with these issues at all. He assumes baptism is what is meant. Wilson then says, “we have to repudiate every form of baptismal or decisional regeneration.” He says this and then quotes Calvin in demonstrating that the “legitimate” use of the word is not restricted to “effectual calling.” This is actually not off base. The quote he has of Calvin demonstrates that Calvin saw regeneration as an individual act of change, as well as it used of the whole life of a believer. He is quoting out of Schenck’s book. Here is where Wilson makes another mistake. He assumes since regeneration can be akin to sanctification in this “old use” of the word, then baptism offers a twofold grace – forgiveness of sins and regeneration. But the way, the manner in which Wilson thinks about this is not the same as how Calvin is thinking about it in the larger context of his writings. Wilson will have baptism go beyond the Westminster Confession of Faith definition of it being a sign and seal, and it will be a means whereby it actually communicates something ex opere operato (something Wilson says he denies). He then says, “in this limited sense, we can say Calvin held to baptismal regeneration.” No, we cannot. Wilson is confusing presumptive regeneration, sanctification, and his view of effectual baptism. He says that what God does in salvation, He offers in the sacraments. This is not what Calvin, nor the Westminster Confession of Faith taught. The Westminster Confession of Faith emphatically denies the efficacy of the sign and seal to those who are not actually sealed by baptism. It is only a sign and seal of those who are elect. In all other cases it is a means of condemnation and communicates nothing to the neophyte. The Confession says, “Baptism is a sacrament of the new testament, ordained by Jesus Christ, not only for the solemn admission of the party baptized into the visible church; but also, to be unto him a sign and seal of the covenant of grace.” We should, then, take into consideration the Westminster Larger Catechism when it says in Question 31, “With whom was the covenant of grace made? Answer: The covenant of grace was made with Christ as the second Adam, and in him with all the elect as his seed.” Wilson would like baptism, and it “efficacy” to be made with others than the elect. This is where Wilson is profoundly confused on the Reformers and the Westminster Assembly’s ideas surrounding presumptive regeneration and then baptism, and not actual efficacy in baptism. Wilson begins this chapter by saying, “We have seen that the objectivity of the covenant does not re­quire that we abandon our understanding of the majesty and sovereignty of God—just the opposite. Nor does it call for us to walk away from the glory and power of the Holy Spirit’s regenerating work in the hearts of men, women and children. And, as we will consider here, it does not mean abandoning or backing away from the biblical and historic doctrine of sola fide.” What exactly is the doctrine of sola fide? What is the historical orthodox position on this? Wilson says, “But we have to make all such qualifications because current misunderstandings of the covenant do need to be modified— and when we do, some will be tempted to think we are com­promising on some of these basics.” Wilson is saying the historical position should be modified. Think through this – the historical position on “faith alone” should be modified. What will Wilson modify about “faith alone?” Will he take away something from it? Will he add something to it? Wilson modifies faith by helping us understand that the righteousness of God (or the doctrine surrounding justification by faith alone) is not a one-time act. We live by faith to faith, he says. It is true that the Christian life is lived in faith, and all we do in walking is by faith. But to meld faith as a one time act (justification) into faith as the discourse of our life (sanctification) is to redefine the orthodox standards already handed down to us by the reformers (like Luther with whom Wilson disagrees) and the Westminster Confession of Faith (with whom Wilson is trying to redefine for us.) What Wilson is failing to understand is that faith begins as a reflex act out of a regenerated heart, and God sustains sanctifying faith from that point onward. Wilson says, “Faith is life.” No, grace is life, and faith is the vehicle in which that grace is experienced. Wilson then defends himself on page 44 that he is not overthrowing or contradicting the solas of the Reformation. He says he is not, and so we should believe him. He connects, erroneously, the “objectivity of the covenant” with the solas of the Reformation and says that solas which have no heart work in them are dead propositions. Regardless as to whether a person is in Christ or out of Christ does not make the doctrine that surrounds Christ dead. It may be non-effectual for a person in giving them life, but they are certainly not “dead propositions.” Wilson then says on the same page, “Some might call this an innovation and say that it is incon­sistent with the historic Reformed faith. Not exactly, and this brings us back to the Westminster Confession. Not only does this teaching not contradict the teaching of Westminster, it is the teaching of Westminster.” No, actually, it is not, because Wilson is going to throw into the mix his conceptions of “corporate justification.” In other words, Wilson does not understand, and is mixing up the ordo salutis. He thinks that later the church will be “justified” under the category of “justification” instead of glorified under the proper understanding of glorification. His theological ignorance here is blatant. He says, “individual justification which occurs at the moment an unconverted man is converted from darkness to light.” Actually, in the ordo salutis, this step is called “conversion.” Conversion is faith and repentance. Justification comes “historically” after faith based on that faith and what Christ has done for us. As the Westminster Larger Catechism states in question 73, “How doth faith justify a sinner in the sight of God? Answer: Faith justifies a sinner in the sight of God, not because of those other graces which do always accompany it, or of good works that are the fruits of it, nor as if the grace of faith, or any act thereof, were imputed to him for his justification; but only as it is an instrument by which he receiveth and applies Christ and his righteousness.” This is not justification, this is faith. Justification is treated in question 70. Faith and justification are separate acts in the ordo salutis. Wilson is blurring these lines and redefining them. As stated previously, Wilson quotes Charles Hodge when he says, “I think it was Charles Hodge who said that if something is true, it is not new, and if it is new, it is not true. In theology, innova­tion as such is no virtue. Our responsibility is to be faithful to the faith once for all delivered to the saints. At the same time, refusal to innovate must not be confounded with a refusal to grow.” If Hodge did say this, then Wilson should listen to him. Wilson is talking license to change theology here and pass it off as “growing” in Christ. Wilson asserts quite a bit in this chapter without giving evidence for his assertions. “For example, a whole host of individualist traditions have grown up in the American church. We read our historic confessions through the eyes of this recent tradition. Many contemporary theologians and preachers read the Westminster Confession, for example, the way Supreme Court justices read the Constitution. Their eisogesis is based on very nebulous and unexamined oral traditions. In this way, the hon­est tradition of Westminster is supplanted by people with modern inviso-traditions, who want the name of West­minster but not its doctrines.” One simply asks “who?” Who does this? Wilson then attempts to be “biblical” by pressing us to use “biblical language.” For instance, Wilson is a sacerdotalist. He thinks baptism saves. So he asks, “The Bible says that baptism saves. Why do we not use this language? It is because our systematic language has replaced scriptural lan­guage.” No, the reason we do not say “baptism saves” is because that particular phrase, based on historical problems, tends to set forth the idea that baptism in and of itself will regenerate the heart – baptismal regeneration. Something Wilson blatantly affirms, and says the Westminster Confession of Faith affirms – “Raise your hand if you knew that the Westminster Confession taught baptismal regeneration.” (Hopefully the reader is keener than this.) Wilson believes baptism saves. No, rather, our exegesis and systematic theology help us to understand that baptism does not save, but does have connotations and implications of salvation in the signing and sealing of that salvation to us. Thus the Apostle can say, “baptism saves.” We should be able to say it in context, but not in Wilson’s context. Wilson also has some strange views surrounding the Holy Spirit. As already noted, he said that Israel was “regenerated” at Pentecost. He makes another assertion when he says, “But the Holy Spirit has been working constantly in the history of the Church since Pentecost.” Actually, the Holy Spirit has been working all through the life of the church, from the time of Adam until now. Even Peter says of the indwelling power of the Spirit in the prophets of the Old Testament, “Searching what, or what manner of time the Spirit of Christ which was in them did signify, when it testified beforehand the sufferings of Christ, and the glory that should follow (1 Peter 1:11).” The Spirit was indwelling them in the Old Testament. To speak of two operations of the Spirit, one in the Old Testament without indwelling (Abraham, Moses David?) and one in the New Testament with indwelling (Paul, Peter, Lydia and Conrnelius), is to preach Dispensationalism. Wilson says, “As we continue to develop our understanding of the nature of the covenant, it is important for us to comprehend what we do not mean by this.” Since he really has not said much at all about “covenant” this seems like a good time to begin explain something about it. Wilson continues to propagate the “corporate covenant omelet.” Though the Kingdom of Christ had a corporate covenant context in which it dwells in the invisible church, Wilson’s redefinition of “invisible” into something else must be assumed here or the chapter makes no sense. He does say that individualism is the deification of the self – and this is a good statement. The church is overrun with individualistic tendencies left over from revivalism. (This is true.) This chapter is quite short, and besides the first problem with identification with a “corporate justification” the chapter ends without much incident. And it also ends without really defining the covenant at all. Wilson says, “As we shall see, Scripture teaches that there is only one covenantal history, which we may call the covenant of grace.” He makes no mention of the Covenant of Redemption at all. His history is a bit shy. He wants to define all covenants by saying that “The covenants are historical and visible. Covenants of God have a physical aspect, like an oak tree.” He makes some groundless assertions again and it would be nice to know exactly where he thinks his information comes from. Wilson says that hose who hold to the invisible / visible distinction are “ignoring the covenant.” He says, “In order to understand this, we have to refer to Hellenism again. The Hellenistic mind tends to see the ethereal, spiritual realm as the “real” one. That which is material and earthy is be­neath all true philosophic consideration. There is a religious ver­sion of this about, and this is the attitude which sees the “invisible” Church as the “true” Church and the “visible” Church, at best, as only an approximation of the true Church. Down here on earth we might play at Church, but the real thing is invisible. When you have two churches existing at the same time, with the membership lists not identical, this cre­ates a problem. We know there is only one Church, so which one is the real one? Modern evangelical Protestants have tended to say that the invisible Church is the real one, which is why we tend to have such a low view of the churches we can actually see.” In other words, the Westminster Confession of Faith has it wrong, and everyone who follows them has it wrong. Modern Evangelical Protestants are wrong – but who exactly? Wilson again mentions the ETR problem and the Hellenistic “divisions” that take place when we see one church is more important than another – i.e. the invisible is more important than the visible. Who says that the invisible is more important? Or the real one? Wilson is silent. Rather, Wilson should take up the doctrinal differences in good historical ecclesiology, which he does not do, and demonstrate the differences in the history of the redemption between the church militant and the church triumphant. Both are exceedingly important, and both uphold the historia salutis (salvation history) in a proper order, something Wilson confuses. The ecclesia militans is the earthly church presently engaged in Christian warfare against sin, death, and the devil. The ecclesia triumphans is the church glorified in heaven. Here, as Muller points out, the scholastics rightlfully distinguished between the ecclesia militans defined proprie at praecise (properly and precisely), i.e. the congregation of the saints or believers (congregatio sanctorum; congregatio credentium) and the ecclesia militans defined improprie et per synchdichen (improperly and by synecdoche) i.e. the whole church in which faith and unfaithful, saints and hypocrites, are mixed. Wilson has redefined this into a big blur. Wilson says, “The heavenly Church is not invisible up there.” His footnote on this statement demonstrate the ridiculous nature of the statement, “The heavenly Church is invisible to me for the same reason the church in China is invisible to me—I am not there to see it.” No, the invisible church is invisible because it is a spiritual term, not a physical term. The distinction between seeing “bodies” at church” and seeing “regenerated Christians” at church makes all the difference in these formulations. Wilson is trying to meld the two. He accuses the Westminster Confession of Faith of thinking by way of an “upper story” and a “lower story” to the church. He is right in a certain sense. He is equally wrong. The church being invisible is made up of all the elect of all ages, those saved on earth and in heaven. The visible church is made up of those on earth in a given body of believers which may have covenant breakers in them (as most churches do). The interrelation between the unregenerate and the regenerate, the sheep and goats, set the definitions for invisible / visible precisely. To overthrow them would be to overthrew them both in heaven and on earth, which means there is a mix in the kingdom at all times, even in heaven. This would be an obvious theological blunder. Wilson then says he wants to make a revision of the Confession. “And so here is one of the rare places in which we would sug­gest an improvement on the language of the Confession. A prob­lem is created when we affirm a belief in two Churches at the same moment in time, one visible and the other invisible.” He then asks, “Are they the same Church or not? If they are, then why are “membership rosters” different? If they are not, then which one is the true Church?” He is making a false dichotomy here. He is asking the wrong question. The question is not whether one is “true” or not. They are both true in being actual and real. The question is how they demonstrates their usefulness in redemptive history, and what Christ’s intention in the church in these stages is. Yes, the membership rosters are different because unregenerate people do not go to heaven and the roster in heaven is made up of the only the elect. To change this distinction is to destroy the ecclesiology of the church militant and the church triumphant. It has nothing to do with “covenant.” Covenant is a different question altogether. If Wilson would buff up on his historical theology, it would help keep distinctions at variance and would not be confusing, but his unscholarly approach is vividly condemning. Wilson then says, “It would be better to consider the one Church under a differ­ent set of terms, discussed earlier, and which preserve the nec­essary distinction made by visible and invisible—historical and eschatological. Because time is taken into account, we preserve the understanding of just one Church, and at the same time pre­serve the necessary distinction between those Church mem­bers who are ultimately saved and those who are ultimately lost. The historical Church is the counterpart to the visible Church, and consists of those throughout history who profess the true faith, together with their children. The eschatological Church is the elect, but it is not invisible. At the last day, every true child of God will be there, not one missing, and every false professor will have been removed. At the resurrection of the dead, this Church will be most visible.” This paragraph demonstrates more of the blatant nature of Wilson’s theological ignorance. First we should ask, “Is the visible church a historical church?” Of course it is. Second, “Is the historical church “eschatological?”” Of course it is. The elect must be a part of history or they would not exist. The church militant must be a part of eschatology or eschatology falls flat on its face (who will Jesus Christ return for but His elect in the ecclesia historia.) What Wilson has done is separated historical realties. He has already said that Pentecost marks the time where the Spirit begins working in the church (which is a grievous error), and now he is saying that we have a historical church that is not eschatological and an eschatological church that is not historical. This is simply a modified form of Dispensationalism. Wilson has seriously departed the Reformed Faith. You cannot be Dispensational and be Reformed. That is an oxymoron. His new term “eschatological church” and the manner of his definition seals his Dispensational theology. Do the saints in heaven have any part in history? Upon the return of the Lord Jude says, “Behold, the Lord comes with ten thousands of His saints…” They will come with Christ in a historical eschatological judgment throng. And in Revelation 6:9 says, “When He opened the fifth seal, I saw under the altar the souls of those who had been slain for the word of God and for the testimony which they held. And they cried with a loud voice, saying, “How long, O Lord, holy and true, until You judge and avenge our blood on those who dwell on the earth?” Obviously part of the church “in heaven” (so far as visions go) is awaiting vindication for their martyrdom. They are moving along a timeline – a historia salutis. Is the church militant part of eschatology? Jeremiah 31 is being fulfilled right now and will consummate in the final eschatological consummation of the “least to the greatest” knowing the Lord in heaven (Jeremiah 31:34). The filtering of this salvation history is going on right now. Wilson’s Dispensationalism is readily apparent. Here Wilson wants to demonstrate the boundaries of the covenant. Where do they begin and end. In redefining his ideas about the church, the boundaries should be non-existent to a great extent, but with some qualification. Wilson does not disappoint. He is asking, “What is the nature of the true church?’ The true church being the “one” church of history, or the one church of eschatology. Which one is he referring to? It is a common reformation theme that there is no salvation outside the church. One cannot be born again by looking at general revelation. The preaching of the Gospel is the means by which men are saved. So what are the marks of the true church? This is a vital question. Wilson says that the Word and the sacraments define the “esse” of the church (esse is Latin for “the essence”). He then argues (quite briefly) that church discipline does not belong to the esse of the church. He says, “Calvin does not define the esse of the Church in terms of discipline.” He quotes Paul Avis (not Calvin) in his book, “The Church” to substantiate his claim. One would wonder why he simply did not appeal to the document presented at the Diet of Spires written by Calvin on the Necessity of Reforming the Church. Did Calvin deny that the esse of the church is not found in church discipline? Are Wilson and Avis right? Not at all. Here is Calvin on the esse of the church and the vindication of the fastidiousness of the Reformation in Geneva: “Now, our enemies first charge us with fastidiousness and undue haste, and, secondly, accuse us of aiming at carnal indulgence, by shaking off the yoke of discipline, in order that we may wanton as we please. But, as I have already observed, we are by no means averse to the reverent observance of whatever rules are fitted to ensure that all things be done decently and in order, while, in regard to every single observance which we have abrogated, we refuse not to show cause why it behoved us so to do.” Decently and in order is the manner of the worship service by which is regulated through discipline. Calvin says, “The reasons which he assigns for punishing the Israelites with blindness, after they had lost the pious and holy discipline of the Church, are two, viz., the prevalence of hypocrisy, and will-worship.” Worship, the esse of the church is combined with discipline, the esse of the church and the only manner in which the people are kept in accordance to the word. Discipline is both preventative and corrective. Every time the Word of God is preached it is preventative discipline. It binds all men in the church as Calvin says, “Discipline consists of two parts, the one relating to the clergy, the other to the people.” This is further substantiated by Calvin understanding of this preventative measure when he says, “And ancient Synods define the duties of a bishop to consist in feeding the people by the preaching the Word, in administering, the sacraments, in curbing clergy and people by holy discipline.” Calvin even quotes Augustine where the preaching of the Word and preventative discipline are to be a help to converting people, “Augustine acknowledges the discipline to be bad which terrifies heretics, but does not teach them.” Why does Calvin belabor church discipline all through this polemic? He gives three reasons at the start, “First, I must briefly enumerate the evils which compelled us to seek for remedies. Secondly, I must show that the particular remedies which our Reformers employed were apt and salutary. Thirdly, I must make it plain that we were not at liberty any longer to delay putting forth our hand, in as much as the matter demanded instant amendment.” Calvin is not on board with Wilson here. The esse of the church is the sound preaching of the word, the right administration of the sacraments, and the exercise of church discipline. Even the Westminster Confession of Faith in chapter 30:2 says, “To these officers the keys of the kingdom of heaven are committed; by virtue whereof, they have power, respectively, to retain, and remit sins; to shut that kingdom against the impenitent, both by the Word, and censures; and to open it unto penitent sinners, by the ministry of the gospel; and by absolution from censures, as occasion shall require.” Their Scripture proof are based on Matt. 16:19; 18:17-18; John 20:21-23; and 2 Cor. 2:6-8. Is Wilson going to say that Christ did not have the esse of the church in mind when He was defining it in Matthew 16 and 18? “People define sacerdotalism differently. For some, it means any­one who uses the word sacrament. For others, more accurately, it means the belief that grace is imparted in a mechanical or magi­cal fashion through the instrumentality of the sacraments. In other words, the sacraments dispense grace ex opere operate, the way a hot iron burns. But for others, erring more subtly, sacerdotalism is the view that sacraments do anything.” This is how Wilson begins chapter 10. Who exactly believes what he is asserting? Who says that sacerdotalism is “anyone who uses the word sacrament?” It could be supposed or conjectured that “someone out there” may believe that, but whom exactly? Wilson does not tell us rather, he says, “I said earlier that rationalism has made considerable inroads into the conservative wing of the Re­formed faith, and the clear tendency of this rationalism is a re-ductionistic one.” Really, where exactly did he cite this? He may have asserted it, but who in the Reformed faith believes this? It is already been shown that Wilson had depicted a moralistic, dispensational, non-reformed view of “covenant” and “church”. He accuses others, but does not cite anyone. Who is the “other?” The “other” is one citation from a reformed theologian names B.B. Warfield. Wilson takes issue with Warfield (who wrote over 100 years ago). Wilson quotes Warfield out of The Plan of Salvation pages 49-50. Here Warfield says, “[I]t has yet been taught in a large portion of the Church (up to to­day in the larger portion of the Church), that God in working salva­tion does not operate upon the human soul directly but indirectly; that is to say, through instrumentalities which he has established as the means by which his saving grace is communicated to men. As these instrumentalities are committed to human hands for their ad­ministration, a human factor is thus intruded between the saving grace of God and its effective operation in the souls of men; and this human factor indeed, is made the determining factor in salvation. Against this Sacerdotal system, as it is appropri­ately called, the whole Protestant Church, in all its parts, Lutheran and Reformed, Calvinistic and Arminian, raises its passionate protest. In the interests of the pure supernaturalism of salvation it insists that God the Lord himself works by his grace immediately on the souls of men, and has not suspended any man’s salvation upon the faithlessness or caprice of his fellows.” Then Wilson says, “In other words, any view that says God vises any means to ac­complish His purposes in salvation is a corrupted or impure su­pernaturalism. Of course, objections crowd to mind. What about the preaching of the gospel? 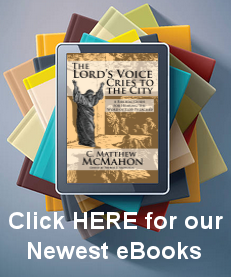 Are all the external means that God uses to bring the gospel to lost men a charade? The gospel, missionaries, preaching, baptism, covenant nurture— are all these just a front operation for the real work of saving men, which is done by God directly, behind the scenes?” It would help Wilson if he kept Warfield in context. Warfield is in the midst of repudiating a salvation that is not based on works, and does not require a human agent. In other words, Warfield certainly affirms preaching, baptism, missionaries and the like (as we will see in a moment) as “means” of grace, but rejects the sacerdotal system of salvation that affirms salvation by “magic” through infusion. To finish Warfield’s out of context quote, Warfield says, “In the words of old John Hooper, it condemns as “an ungodly opinion” the notions that attributeth the salvation of man unto the receiving of an external sacrament,” as though God’s Holy Spirit could not be carried by faith into the penitent and sorrowful conscience except it rid always in a chariot and external sacrament.” In opposition to this “ungodly opinion” Protestantism suspends the welfare of the soul directly, without any intermediaries at all, upon the grace of God alone.” In others words, Wilson has taken Warfield to mean at any time the sacraments are useless. Here, Warfield means that the sacraments do not save. Wilson’s conception of “baptism saves” and Warfield’s conception that they do not are quite different. What does Warfield say about the sacraments? Does he think they “convey anything?” Or is Wilson right? First Warfield says that all baptism is done via presumption, “All baptism is inevitably administered on the basis not of knowledge but of presumption. And if we must baptize on presumption, the whole principle is yielded; and it would seem that we must baptize all whom we may fairly presume to be members of Christ’s body.” Wilson is not following Warfield here. Wilson is arguing against Warfield for sacerdotalism. Warfield also comments that on the study of baptism, he states that Hodge’s Systematic Theology is some of the best work in print. And even upon a cursory reading of Hodge on the issue, Wilson’s statement that Warfield is denying that God utilizes means is nonsense. Warfield actually argues the spiritual benefit of baptism to infants against Strong who says that baptism should be only delivered to the regenerate. Warfield argues for the parallelism of circumcision and baptism as signs and seals of the covenant which should me administered to children in both testaments against Strong. In another study, Warfield says this about the “efficacy” of baptism against Wilson, “it was among the Reformed alone that the newly recovered Scriptural apprehension of the Church to which the promises were given, as essentially not an externally organized body but the people of God, membership in which is mediated not by the external act of baptism but by the internal regeneration of the Holy Spirit, bore its full fruit in rectifying the doctrine of the application of redemption.” Wilson is right that Warfield does not believe the sacraments are magic. But that does not mean that God does not use means. Wilson says he does not want to misrepresent Warfield, and does say that Warfield believes in “means.” It is just that Wilson does not like the fact that Warfield does not believe this in the same way Wilson does. In Warfield’s language here is the ultimate clarification between his theology and Wilson’s which is represented by this “sacerdotalism,” “The essence of the sacerdotal scheme as it regards the actual salvation of individual men, may perhaps be fairly expressed by saying that, according to it. God truly desires (or, as the cant phrase puts it, wills by an antecedent conditional will) the salvation of all men, and has made adequate provision for their salvation in the Church with its sacramental system: but he commits the actual work of the Church and its sacramental system to the operation of the second causes through which the application of grace through the Church and its sacramental system is effected. As this system of second causes has not been instituted with a view to the conveying of the sacraments to particular men or to the withholding of them from particular men, but belongs to his general provision for the government of the world, the actual distribution of the grace of God through the Church and the sacraments lies outside the govern­ment of his gracious will. Those who are saved by obtaining the sacraments, and those who are lost by missing the sacra­ments, are saved or are lost therefore, not by the divine appointment, but by the natural working of second causes.” The objectivity of the covenant for Wilson is the same as the sacerdotalism here repudiated by Warfield. Next Wilson attempts to clarify for us the Westminster Confession of Faith in chapter 28:5 where it says, “Although it be a great sin to contemn or neglect this ordinance, yet grace and salvation are not so inseparably annexed unto it, as that no person can be regenerated, or saved, without it; or, that all that are baptized are undoubtedly regenerated.” Wilson then says, “In other words, the Westminster Confession assumes that grace and salvation are or­dinarily annexed to water baptism, but, for all that, God remains God and can save when, how, whom He pleases. They are not in­separably annexed.” Is this what the Confession says or means? Or is this what Wilson wants the Confession to mean? Robert Shaw says in commenting on this section of the confession, “That baptism is not regeneration, nor are all who are baptized undoubtedly regenerated. That the baptism of water is regeneration, and that every person duly baptized is born again, is the doctrine of the Church of Rome; and this doctrine has been embraced by many in protestant churches…it is a very dangerous doctrine and that it has no warrant in Scripture…” Wilson is pressing to be a ritualist. Hodge says, “These sections teach us that the unity between grace and salvation with Baptism is not so inseparable to conclude that only the baptized are saved, nor that all the baptized are saved. Nevertheless, to neglect this ordinance is a great sin—its observation is commanded, and the grace offered is truly exhibited and conferred by the Holy Spirit. Moreover, this grace that is conferred is not limited to the moment of time wherein Baptism occurs, but is conveyed to the recipient according to the time that pleases the Lord in His good will, according to His sovereign appointment. Lastly, the sacrament is to be administered only once to each and any person.” In other words, baptism does not save, nor does it convey efficacy if the recipient is not first regenerate. The sign and seal will be effectual after regeneration. Baptism is not magic. What is magic is the “extreme held by Papists and Ritualists of baptismal regeneration.” What Wilson seems to be overlooking in this is said well by Williamson, “To say that baptism is required by the law of God (for believers and their children) does not mean that baptism is required for salvation itself. What man must do as a moral duty must not be confused with what God may do. Scriptures shows that it is possible to have everything signified and sealed by baptism without having baptism itself.” Wilson has traded faith for baptism. Wilson says, “What is a sacrament? A sacrament is a sign, and a sign that seals what it signifies. This is not a front operation.” Wilson misunderstands how these work through faith. The sacraments are not a front operation if he means they signify and seal nothing if one is unregenerate, and something if they are by way of blessing. If the unregenerate partake of the sacrament unlawfully, and are never converted, then the sacraments stands for judgment. But Wilson will have the sacrament communicating something that the sacrament signifies under faith. Wilson says, “According to Warfield’s definition, to have the cov­enant dispensed in ordinances and to have them be spiritually effica­cious, is sacerdotalism.” No, Wilson’s redefinition of what baptism means is what is causing his problem. Not Warfield’s understanding of it, or the Westminster Assembly’s understanding of it. Wilson then states that the sacrament of baptism itself creates a union. He says, “Moderns who are stuck with the language of Westminster want to say that we actually have to understand this as a sacramental union, with the word sacramental being understood as some sort of dilut­ing agent. But I want to say that it is a sacramental union, with union meaning union.” We do not know who these “moderns” are, but we are aware of what Wilson is trying to say. His sacerdotalism is blatant. By way of notation, Wilson does not think that the lawful administration of the sacraments should be a confessional issue. The reader is not told why. Wilson simply does not think it is important. Wilson, a few pages later, quotes Peter Leithart (but with wrong bibliographic information) in this way, “Thus, a trinitarian framework leads to a strong affirmation of baptismal efficacy that is as far as possible from anything “magical” or “sacerdotal.” Interestingly Wilson seems to following ideas and thoughts of Liethart’s “study” with John Zizioulas, a Greek Orthodox theologian. Is it imperative to do a study on the sacerdotalism of the Greek Orthodox Church to find out where Wilson is borrowing his ideas based on Leithart’s quotation of Zizioulas? I think not. Leithart makes this obvious when he says previous to the quote Wilson gives, “Despite vigorous disagreements on other matters, there is a consensus across Christian traditions that in baptism one becomes a member of the visible church and is publicly committed to Christ as his servant and disciple. When the question of baptismal efficacy is pressed beyond this, however, the consensus disappears, and, within the Reformed churches, the traditional ambiguity toward sacraments comes to the fore.” In other words, in order to press baptismal efficacy in Zizioulas’ and Wilson’s mold, one had to abandon Reformed orthodoxy of “membership into the visible church.” Of course they do, and that is why Wilson wrote the book and belabors “corporate justification.” However, one must be equally cautious of Liethart, who is a writer for the Auburn Avenue view of justification. Leithhart is as wrong as Wilson is overall on the issue of justification. Wilson says, “We are to consider baptism and regeneration together, but we are not to treat this as an absolute. In other words, some who are not baptized will be saved, and not all who are baptized are saved. But as discussed earlier, while we do not take the connection between water baptism and grace and sal­vation as an absolute, we do take it as the norm.” What Wilson is taking as a norm is that God regularly saves through regeneration, which of course includes baptism. He says, “Contrary to Warfield, baptism is efficacious.” He attempts to distinguish this, and reneging in part, on his earlier ideas that the Westminster Confession of Faith teaches baptismal regeneration of sorts when he says that baptism and salvation may not necessarily be tied together. Again, Wilson is working in and around his redefinition of “the objectivity of the covenant.” He says, “Nor should we assume that every Christian will go to heaven.” This is based on his loose usage of the word “Christian” in his own theological context. Yet in all of this, Wilson finally states what he means, “By means of baptism, baptism with water, grace and salvation are conferred on the elect.” No, actually, by grace and regeneration a spiritual principle not already present is conferred to the elect, and by faith they are justified through the imputed righteousness of Christ. Baptism is simply a sign of seal of what already takes place, not a conference of that grace. The Westminster Confession of Faith repudiates Wilson’s position when it distinguishes in this light those who enter the visible church and those who are partakers of the Covenant of Grace as the elect. Chapter 13 was much of the same argumentation and requires no comments that have not already dismantled his ideas. Wilson says, “A Christian assured of his salvation has true humility of mind—”And said, Verily I say unto you, Except ye be converted, and become as little children, ye shall not enter into the king­dom of heaven” (Mt. 18:3). We have to be careful here because in many instances we get this turned around. We say that little children have to become like adults before they can enter the kingdom. They have to meet with the elders before they can come to the Table, and often preparation for communion seems more like preparation for ordination. We say children must become like adults; Jesus said adults have to become like children. To do this requires humility of mind, which is a gift of the Holy Spirit.” Wilson is misunderstanding. Baptism is administered to children, but they may not partake of the supper until the parents sees them discretionally understand the Gospel. This is different for every age child. Wilson does not like the idea that a covenant child may not eat of the table. He will have to consider and exegete 1 Corinthians 11 and offer a different answer than past Paedo-communists have done in redefining what it means to “examine” one’s self. The exegetical work on this by Paedo-communionists is strained at best, and theologically contradictory to the explicit teaching of 1 Cor. 11. Again Wilson asserts without proof. He says, “It is important for us to settle in our minds at the outset what an apostate falls away from. In shorthand, he falls away from Christ; he falls from grace (Gal. 5:4). But what does this mean? In the text quoted above, he has been enlightened (an early Church expression for baptism), he has tasted the heavenly gift, he has been made a partaker of the Holy Spirit, and so on. There is a certain kind of reality to this experience that is assumed. The cut-away branch has no fruit (which is why it was cut away)—but it has had sap (which is why it had to be cut away).” The theological implications and assertions in this one paragraph could takes weeks to unravel. What is an apostate? What does it really mean to the orthodox church that one is in grace and then falls from grace? Is this a real loss of grace, or supposed? Does being enlightened in Galatians 5 mean the same thing in the same way as in Hebrews 6? Does Jesus’ discourse in John 15 mean that the branches who were pruned away and burned had sap? Where does Jesus say they had sap? Is sap life? Is sap eternal life? Is sap covenant membership? If it is true sap, is that the same life-giving sap that uphold the other branches that are not pruned away? Is this grace? Is this grace shared? Saying “there is a certain kind of reality” is typical of his unscholarly attempt at any explanation at all. Wilson then says, “But the Reformed have their own set of problems here. One such problem is to assume that all such warnings are hypothetical. In other words, God warns His elect away from something that cannot happen to them—something like erecting a giant “beware of the cliff” sign in the middle of Kansas.” Who is he talking about? What “Reformed?” Who believes this? Wilson seems to be very able in setting up straw men in order to knock them over. Wilson then says, “The Reformed need to hear some other Words of Christ: “If a man abide not in me, he is cast forth as a branch.” Would this be the same as when Christ says, “I never knew you (Matthew 7:23)?” The genuine covenantal connection that Wilson is trying to create is based continually on his misunderstanding of the nature of the church. Wilson believes that reprobates and the elect are “equally in the covenant.” Not at all. Only the “elect” are partakers of the covenant of grace in reality. The reprobate simply receive just condemnation for not utilizing the means of grace as they should in the long run. As Paul says, “so as always to fill up the measure of their sins; but wrath has come upon them to the uttermost. (1 Thessalonians 2:16). Jews fill up their sin, and raise the bar of wrath for misusing the means of grace, not for partaking of saving grace and befuddling it. Wilson then quotes Chori Seraiah who wrote an article called The God of Contingencies: In Defense of John Barach, Steve Schlissel, J. Stan Wilkins and Douglas Wilson. The center thesis of this paper in defending these men is that “God brings us into covenant by baptism.” This, as has already been noted, is a direct contradiction to the Westminster Confession of Faith and the Bible for that matter, which says that faith brings us into covenant. It is a poor defense of the Auburn Four and their doctrine, but Wilson appeals to it where Seraiah says “The means by which men apostatize from the covenant is unfaithfulness. The means by which men perse­vere in the covenant is faithfulness.” In other words, it is by works that one stays in or out of the covenant. It is not the imputed righteousness of Christ, but faithfulness of the “covenanter.” Then Wilson quotes Joel Garver who also says in his article, “What is the covenant? The sovereign free bond of love between Father, Son and Holy Spirit….How do we enter into this covenant? Baptism, a sign and seal of faith.” This is poor theology (and without Scriptural proof at all). The Covenant of Redemption is the intertrinitarian covenant, and the Covenant of Grace is the covenant between God and man. Faith binds us to the covenant, not baptism. On both fronts Garver is mistaken, and Wilson follows him. Since much of what has been said so far is equally distributed through the next four chapters, it is a waste of time to demonstrate his assertionless quotes, assumptions and redefinition of ideas based on what he has already told us. He does not say much that will change the reader’s mind, or envelop him in some “precise exegetical” conundrum that would render the reader to give up his confessional orthodoxy. Instead, moving onto the justification controversy in the next few chapters is more pertinent. Wilson says, “When Jesus died, the law died.” Actually, when Jesus died the law was ratified in his death and sealed in his resurrection. Wilson says when Jesus died the “law perished.” In terms of the law, the Westminster Confession of Faith says the exact opposite, “Neither doth Christ, in the gospel, any way dissolve, but much strengthen this obligation.” The Westminster Confession of Faith stresses the continuation and propagation of the law, “This law, after his fall, continued to be a perfect rule of righteousness.” It is the perfect rule of righteousness. Wilson, on the other hand, says this, “The law has discontinuity in the sense that the resurrection changes the meaning and nature of everything.” The meaning is changed? Not really. Wilson is propagating Dispensational theology here. Here says, “The change of the law in Him shares in this resurrection life. As Paul says, “Ye are our epistle written in our hearts, known and read of all men: Forasmuch as ye are manifestly declared to be the epistle of Christ ministered by us, written not with ink, but with the Spirit of the living God; not in tables of stone, but in fleshy tables of the heart” (2 Cor. 3:2—3). Risen from the dead, the law is now written on human hearts.” Was the law written on human heart in the Old Testament? Of course it was. Wilson is falling into an exegetical blunder surrounding Jeremiah 31. There are explicit references to people in the Old Testament with their hearts changed and having the law written on it, and serving God out of a changed heart. Consider Deut. 30:10, “if you obey the voice of the LORD your God, to keep His commandments and His statutes which are written in this Book of the Law, and if you turn to the LORD your God with all your heart and with all your soul.” The turning of the heart, having the law written there in pleasing God, was God’s intention. Moses is quite explicit in Deut 30:11-14, “For this commandment which I command you today is not too mysterious for you, nor is it far off. “It is not in heaven, that you should say, ‘Who will ascend into heaven for us and bring it to us, that we may hear it and do it?’ “Nor is it beyond the sea, that you should say, ‘Who will go over the sea for us and bring it to us, that we may hear it and do it?’ “But the word is very near you, in your mouth and in your heart, that you may do it.” Joshua 22:5 says the same, “But take careful heed to do the commandment and the law which Moses the servant of the LORD commanded you, to love the LORD your God, to walk in all His ways, to keep His commandments, to hold fast to Him, and to serve Him with all your heart and with all your soul.” This heart change was an expected aspect of the Old Testament, and of fundamental obedience to God. Consider also 2 Kings 10:31, “But Jehu took no heed to walk in the law of the LORD God of Israel with all his heart; for he did not depart from the sins of Jeroboam, who had made Israel sin.” Jehu did not exemplify a heart change, and walked contrary to God. On the positive side we see Ezra preparing his heart to keep the law in Ezra 7:10, “For Ezra had prepared his heart to seek the Law of the LORD, and to do it, and to teach statutes and ordinances in Israel.” Good king Josiah also is said to have had a heart that walked after God’s law in 2 Kings 23:25, “Now before him there was no king like him, who turned to the LORD with all his heart, with all his soul, and with all his might, according to all the Law of Moses; nor after him did any arise like him.” Hezekiah also did this as stated in 2 Chron. 31:21, “And in every work that he began in the service of the house of God, in the law and in the commandment, to seek his God, he did it with all his heart. So he prospered.” The Psalmist is also quite explicit in Psalm 40:8, “I delight to do Your will, O my God, And Your law is within my heart.” Wilson is wrong. He believes there are “troublesome “law/gospel”” distinctions that should be discarded. Wilson then befuddles being “baptized into His death.” (Romans 6:3). Now understand exactly what Wilson is trying to prove here when he says, “That baptism is our introduction to union with Him.” This is blatant heresy, and the error of sacerdotalism, and Wilson is demonstrating he misunderstands basic conversion. Regeneration is our introduction to God in union with Christ, by the reflex act of faith. As Stoddard says, “preparatory work is no part of conversion.” A person may be baptized 80 times (although this writer opts for just once) yet, in such a act, the union with Christ is as far as the lost reprobate in the jungles of Africa. Wilson wholeheartedly denies this. Union with Christ is when “God calls upon sinners to turn to Him by the internal voice and motions of His Spirit” otherwise known as effectual calling. Peter Van Mastricht says, “That physical operation of the Holy Ghost whereby he begets in men who are elected, redeemed, and externally called, the first act or principle of spiritual life, by which they are enabled to receive the offered Redeemer, and comply with the conditions of salvation…for as the natural life consists in the union of the soul to the body, so the spiritual life consists in the union of original righteousness with the soul.” Union with Christ is first accomplished by regeneration, or effectual calling. Wilson attempts to wrap up his ideas about “corporate justification here.” He confusingly states the following, “Our corporate justification as the Church was Pentecostal. God publicly vindicated us, owned us as His people, and estab­lished us in the world as His own righteous people. This means that the Church as the Church is justified, just as the Church is elect, and redeemed, and so forth. But this also means that nonelect covenant members, while truly attached to the body, are nevertheless an incongruity—spots and blemishes that will be removed as the Bride is made radiant. But in the meantime, until they are removed, we have to learn to deal with nonelect members of the Elect One, and unjustified members of the Jus­tified Body.” Corporate justification is a confusion based on mixing up justification with glorification (as already stated earlier in this paper.) Wilson seems to link the “giving” of the Spirit at Pentecost as the “corporate justification” of the church. This is erroneous as an exegetical work bearing in and around Joel 2 will bear out for Acts 1 and 2. Wilson is advocating the “new perspective” – those who triumph in “corporate justification.” Wilson says, “This is fundamental to the central point of this book. Election is one thing and covenant membership is another. And this distinc­tion is no theological innovation.” Actually, this is an innovation. Wilson has redefined the relationship between covenant inclusion and election, union, invisible church and visible church. Yes, all of this really is a new innovation. The point of his work is to rewrite theology based around certain aspects of the new perspective on Paul and corporate justification. He is, as he says, “following Steve Schlissel’s arguments” on society, judgment, and justification. Schlissel believes that birth saves, not baptism, and then obedience justifies. He has gone one step further than Wilson, and Wilson is not far from this. Wilson says, “Grace without practice is Gnosticism.” Actually, grace without practice is regeneration, and faith without works is dead faith. The reflex act of faith afterwards will produce good works. Wilson attempts to wrap up his theological blunder in one successive theological summary. When people are baptized they are in union with Christ and in union with other visible saints. Wilson, as has been demonstrated all through this short critique, is quite wrong. Wilson attempts to take “good things” from the new perspective and throw off the “bad things”. He says, “I have to say that the foundational tenets of the New Perspective are off-base.” That is good that he feels this way, but his theological views through this book say something quite the opposite. He says, “The New Perspective is right in emphasizing that there is a corporate aspect to justification. But this is a position that can be held without contradiction by a critic of the New Perspective.” Corporate justification is one of the chief tenants of the New Perspective and it overthrows justification by faith alone. Wilson wants them both. He wants individual justification., but the moment he takes in corporate justification he has lost the Bible and salvation. He says, “In short, the New Perspective tends to present us with a false dilemma, either “Lutheran” individual justification or corporate justification, where God is making one new man out of Jew and Gentile. But there is no reason why we should agree to a dilemma that forces us to choose between eggs and omelettes. It is possible to have both, as the rest of this book has been seeking to show.” To grasp onto corporate justification, Wilson has redefine “invisible church” and “visible church”, “justification for the individual”, “sacerdotalism”, “regeneration and union with Christ,” “membership in the church,” the “esse of the church” and he must of necessity reject the teachings of the Reformers, Puritans, Princeton Theologians, and current Reformed Theology, which are all, based on the essentials of the faith, unified. To stand upon the Westminster Confession of Faith, really, is to uphold the systematic teachings of the Word of God. Wilson desires to “redefine” the Confession. This alone demonstrates his unorthodoxy. He has traded in salvation for works. 1) He redefines “Christian” to include anyone “in covenant” with God. 2) He redefines the church invisible and visible as historical and eschatological, overthrowing the ordo salutis and the historia salutis and confusing justification with glorification. 3) He believes in corporate justification which overthrows individual justification and redefines covenant inclusion by baptism instead of faith. 4) He believes in sacerdotalism, and believes the Westminster Confession of Faith teaches baptismal regeneration (which it does not) and overthrows justification by faith alone. 5) He denies that church discipline is of the esse of the church, but the bene esse of the church. 6) He believes baptism is efficacious for salvation (baptism saves, kept in his context) apart from faith. 7) He believes good works are the grounds by which one may have assurance of salvation specifically seen in accepting baptism without question. Baptism is then assurance (assurance by works). 8) He believes that faithfulness to the covenant is justifying (which is his corporate justification). 9) He affirms that the New Perspective’s “corporate justification” theology is true. Wilson, Page 40 and 103. According to Schenck’s survey Reformed theology has taken a turn for the worse based on the individualism of revivalistic theology and the Enlightenment. This is where Wilson is borrowing Schenck’s terms, but befuddling the theology behind it. Wilson, see pages 72-74 for his new distinction. Wilson, page 17. This is also one of those bibliographic problems where Wilson says our current evangelical traditions teach this but he gives no support for this at all. Lewis Sperry Chafer, Dallas Theological Seminary. 1935;2002. Bibliotheca Sacra Volume 92 . Dallas Theological Seminary. Gary R. Habermas, Michigan Theological Seminary. 1997;2002. Journal of Christian Apologetics Volume 1 . Michigan Theological Seminary, Page 64. M. M. B. Turner, The Significance Of Receiving The Spirit In Luke-Acts: A Survey Of Modern Scholarship, Trinity Evangelical Divinity School. 1981;2002. Trinity Journal Volume 2 . Trinity Evangelical Divinity School. Page 145. Charles Spurgeon, Morning and Evening, Ages Software, Page 252. Augustine, De Praedest. Sanct. Lib. i. c. xv. ; De Bono Perseverantia, cap. ult. See supra, chapter xiv. sec. 7. R. M. Hawkes, The Logic of Assurance in English Puritan Theology, Westminster Theological Seminary. 1990;2002. Westminster Theological Journal Volume 52 . Westminster Theological Seminary Page 257. Geerhardus Vos, “Hebrews, the Epistle of the Diatheke,” in Redemptive History and Biblical Interpretation (ed. R. B. Gaffin, Jr.; Phillipsburg: Presbyterian & Reformed, 1980) Page 186. Henry, M. E4’s Matthew Henry’s Concise Commentary (electronic ed.). Martin Luther, Werke , Erlangen ed., 2.197; cited by Warfield, Perfectionism , 1:116. John Calvin, Commentary on Romans, Ages Software, Page 578. John Calvin, Sermons on the Deity of Christ, Sermon 18, Ages Software, Page 236. John Owen, Works, Volume 1, Ages Software, Page 145. Charles Hodge, Commentary on Romans, Ages Software, Page 139. William Twisse, A Brief Catechetical Exposition of Christian Doctrine, London, Old Bailey, 1645. Page 8. William Bridge, Works, Volume 1, Soli Deo Gloria, Page 362. Thomas Goodwin, The Works of Thomas Goodwin, Volume 5, Tanski Publications, 1996. Page 351. Thomas Manton, Manton’s Complete Works, Volume 6, Maranatha Publication, Worthington. Pages 13-15. Jeremiah Burroughs, Gospel Conversation, Soli Deo Gloria Publications, Morgan, PA: 1995. Page 8. The Directory of Publick Worship states concerning infants of believing parents, “That they are Christians, and federally holy before baptism, and therefore are they baptized: That the inward grace and virtue of baptism is not tied to that very moment of time wherein it is administered; and that the fruit and power thereof reacheth to the whole course of our life; and that outward baptism is not so necessary, that, through the want thereof, the infant is in danger of damnation, or the parents guilty, if they do not contemn or neglect the ordinance of Christ, when and where it may be had.” This presumption was based on the command to Abraham to set the sign and seal of the covenant on the child, as well as the promise that God would be their God. Wilson is confusing presumption and actuality. Douglas Wilson, Auburn Pastors conference, 2002, The Curses of the New Covenant, tape 7.
 cf. Wilson’s arguments on page 34 of his book. Westminster Confession of Faith chapter 28:1. See B.B. Warfield, The Plan of Salvation, Page 89ff. Dabney, Systematic Theology, Chapter 18. Berkhof, Systematic Theology, Page 418. Reymond, A New Systematic Theology of the Christian Faith, Pages 704-711. Herman Witsius, The Economy of the Covenants Between God and Man,” P&R Publishing, Phillipsburg, 1990. Pages 45-46. See Richard Muller’s Dictionary of Latin and Greek Theological Terms, Baker Book House, 1985, Page 99ff. John Calvin, The Necessity of Reforming the Church, Ages Software, Page 238. For a survey of the intellectual origins of the Reformation see Alister McGrath’s, The Intellectual Origins of the European Reformation. B.B. Warfield, The Plan of Salvation (Boonton. : Simpson Publishing Co., 1989) Page 50. B.B. Warfield, The Works of Benjamin B. Warfield, Volume 9, Studies in Theology, Baker Books, Ann Arbor, 1981. Page 390. B.B. Warfield, The Works of Benjamin B. Warfield, Volume 9, Studies in Theology, “The Doctrine of Infant Salvation,” Baker Books, Ann Arbor, 1981. Pages 429-30. Warfield, The Plan of Salvation, Page 53. Robert Shaw, An Exposition of the Confession of Faith, 1845, Page 291. Hodge, A., Hodge, C., & Hodge, A. 1996. The Confession of Faith : With questions for theological students and Bible classes. With an appendix on Presbyterianism by Charles Hodge. Index created by Christian Classics Foundation. (electronic ed. based on the 1992 Banner of Truth reprint.) . Christian Classics Foundation: Simpsonville SC. G.I. Williamson, The Westminster Confession of Faith For Study Classes, P&R Publishing Company, Philadelphia, PA: 1964. Page 214. Calvin says, We ought, therefore, to consider, that just as in the case of Abraham, the father of the faithful, the righteousness of faith preceded circumcision, so today in the children of the faithful, the gift of adoption is prior to baptism.” Opera Quae Supersunt Omina, Corpus Reformatorum, Volume 35, Page 8. He also says, ““It follows, that the children of believers are not baptized, that they may thereby then become the children of God, as if they had been before aliens to the church; but, on the contrary, they are received into the Church by this solemn sign, since they already belonged to the body of Christ by virtue of the promise.” Institutes of the Christian Religion, 4:15:22. cf. 4:16:24. Peter Leithart, “Framing Sacramental Theology: Trinity and Symbol,” Westminster Theological Seminary. 2000;2002. Westminster Theological Journal Volume 62 . Westminster Theological Seminary, Page 15. Wilson, Page 114. Cf. the Westminster Confession of Faith 29:8. Westminster Confession of Faith, Chapter 19:1, 2. Solomon Stoddard, The Nature of Saving Conversion, Soli Deo Gloria Publications, Morgan, PA: 1999. Page 2. Nathaniel Vincent, The Puritans on Conversion, Soli Deo Gloria Publications, Morgan, PA: 199o. Page 105. Peter Van Mastricht, Regeneration, Soli Deo Gloria Publications, Morgan, PA: 2002. Pages 13 and 21. Westminster Larger Catechism, Question 31.